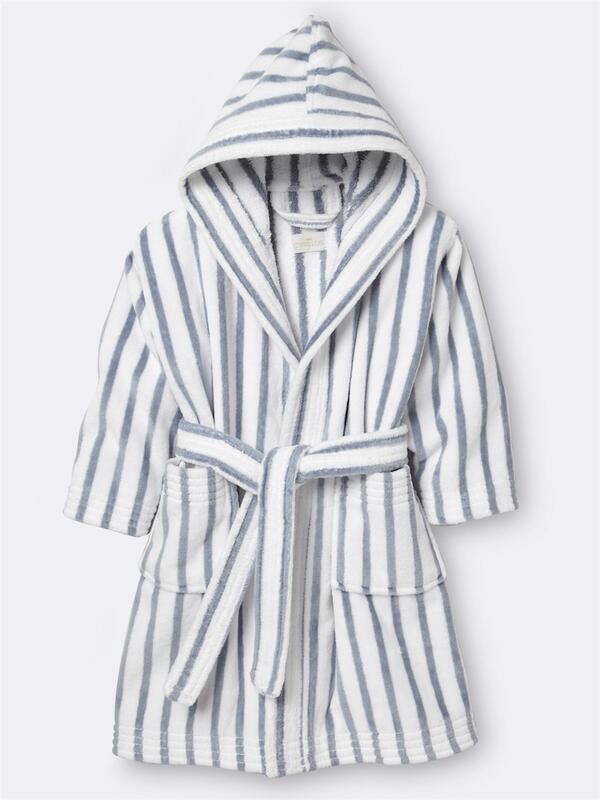 This hooded bathrobe with thin stripes is fashioned in a soft and truly absorbent terrycloth. 2 patch pockets. Tie belt with belt loops. Washable at 30°C. Made in Portugal. 100% cotton yarn-dyed velvet (460 g/m2). Outside: velvet. Inside: knitted terrycloth.